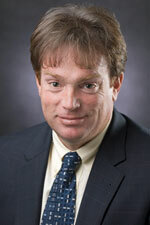 Michael Keane is a Partner/Director of Garfunkel Wild, P.C., which he joined in 1992. He is a Co-Chair of the firm’s Litigation and Arbitration Group, Chair of the Environmental Group, and a member of the firm’s Corporate Reorganization and Bankruptcy and Health Care Information and Technology Practice Groups. Michael primarily handles clients’ pre-dispute, litigation, and alternate dispute resolution needs. He also is a credentialed mediator and arbitrator. Michael’s practice includes a wide variety of commercial and health care matters. He has arbitrated and tried contract and corporate disputes, real estate and construction matters, civil rights cases, antitrust cases, insurance disputes and disputes arising in the not-for-profit and academic world. In addition, Michael handles a large volume of healthcare industry disputes. In fact, Michael is a trained arbitrator and mediator who serves as a dispute resolver with the American Health Lawyers Association. Recent trials include Michael serving as lead defense counsel in a case arising from the break-up of a large surgical practice involving issues of medical competency, hospital surgical coverage, and interpretation and enforcement of restrictive covenants. Not only did the jury return a defense verdict, but also awarded the firm's client significant damages on its counterclaim. He also successfully handled the trial and appeal of a dispute between two hospitals over reimbursement for pediatric residents, and, in another recent case, tried a dispute between a large multi-specialty practice and one of its former partners. Michael has also been lead defense counsel in two highly publicized health care antitrust trials involving cutting edge managed care issues. The first of these jury cases went to trial in the United States District Court for the Southern District of New York, and the second was commenced in the Eastern District of New York. In addition, in the healthcare reimbursement arena, Michael has arbitrated and litigated many claim denial disputes. In these reimbursement cases, he has represented both providers and payors, or served as a mediator, and the subject matters have ranged from claim by claim analyses to allegations of vast inappropriate payment methodologies. In his work representing academic institutions, Michael has some of the leading decisions involving a university’s rights to inventions developed on campus grounds, and a university’s rights to establish its unique criteria for the admission or rejection of prospective students. Trained as a mechanical engineer, his technical background proves particularly useful in construction, software, electronic data storage and delivery systems, and mechanical/power system cases. Before beginning his legal career, Michael worked as a civilian mechanical engineer for the Department of the Navy, where he wrote ship repair specifications and, after a bid was awarded, supervised construction and repair in shipyards throughout the United States. Michael possessed a United States Coast Guard license as a Third Assistant Engineer for steam and motor vessels of unlimited horsepower. Prior to joining Garfunkel Wild, P.C., he was an associate at Thacher, Proffitt & Wood, where he was a member of the litigation department. Michael is admitted to the New York and New Jersey Bars, as well as federal courts for the Eastern District of New York, Southern District of New York, Northern District of New York, District of New Jersey and Second Circuit Court of Appeals. Michael received his B.S. (with honors) from the U.S. Merchant Marine Academy in 1983 and his J.D. from University of Virginia, School of Law, in 1987.